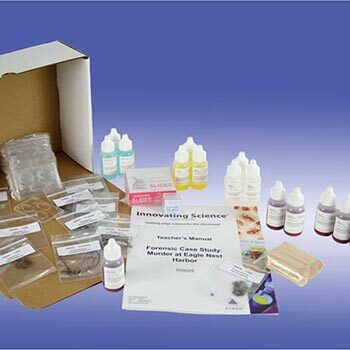 Forensic Drug Testing: A Simulated Immunoassay, Forensic & Crime Scene Kits: Educational Innovations, Inc. 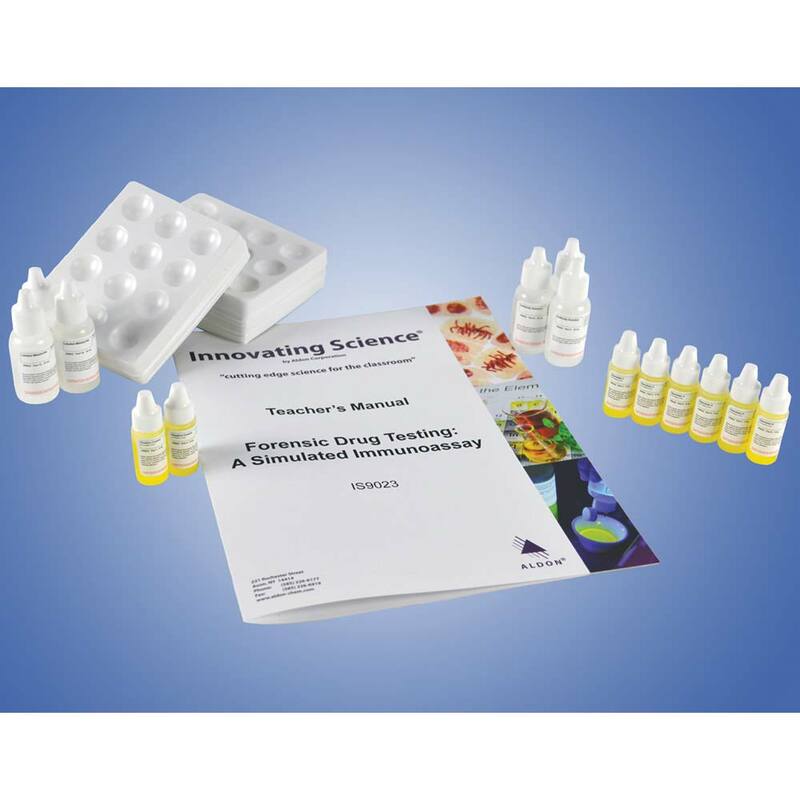 In this activity, students will perform a simulated immunoassay test on several urine samples for the detection of the cocaine metabolite benzoylecgonine. Because of the cost associated with confirmatory drug testing, a presumptive drug test is often performed first. 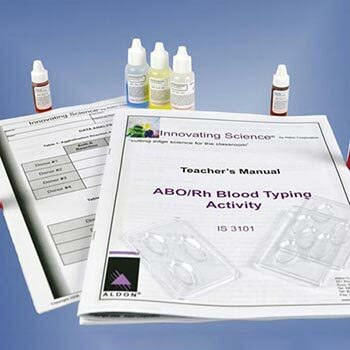 Two of the most common presumptive drug testing techniques are immunoassay testing and thin-layer chromatography. 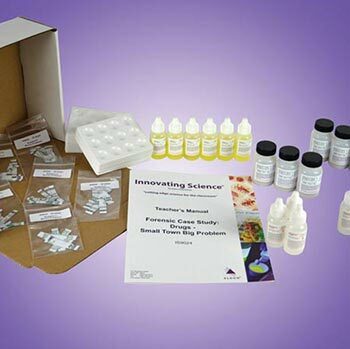 Using this kit, students will perform a simulated immunoassay test on several urine samples to detect the cocaine metabolite benzoylecgonine. 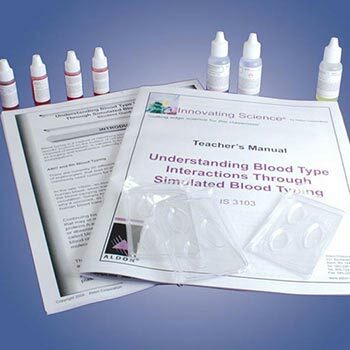 All urine samples and testing reagents are simulated to avoid the potential hazards of actual biological specimens while still providing realistic results. Kit contains enough materials for 15 groups. Teacher's Guide and Student Study Guide copymasters are included.